You don’t need a whole lot of hype for the Northwest Derby. Clashes between Manchester United and Liverpool leave emotions running high, and this weekend’s meeting was no different. So when a story comes out right before kickoff that very nearly drowns out the game itself, you know it’s a Thing. So it was that fans and pundits were worked into a tizzy right before kickoff when Liverpool were forced to drop a bombshell— Joël Matip was out of the team because FIFA grounded him. Details were sparse, but it had something to do with Matip’s ties to the Cameroon national team and whether or not the 25-year-old defender was obligated to link up with them for the African Cup of Nations. There’s a lot of confusion and hearsay and rabble-rousing in the wake of the story, so we’re going to try and walk you through what happened. Matip was born in Bochum in 1991 to a German mother and a Cameroonian father. When he started pursuing football seriously as a career at Schalke’s youth academy, he had a choice to represent Germany or Cameroon as an international. The latter tried to call him up in late 2009 to compete in the 2010 African Cup of Nations, but he hadn’t made up his mind about national team affiliation and ultimately declined the invitation. (Germany, meanwhile, held out faint hope that Matip would line up for them instead.) By the spring of that year Matip had made up his mind and was in the Cameroon team for a March 2010 friendly against Italy. He went on to make the World Cup squads in 2010 and in 2014. But a little over a year ago Matip fell out with national team officials while still with Schalke. The situation hadn’t improved, and last September— soon after his debut at Liverpool— Matip said he considered himself retired from international duty. Cameroon, however, hasn’t accepted his resignation, and insisted they can still recall him at any time. 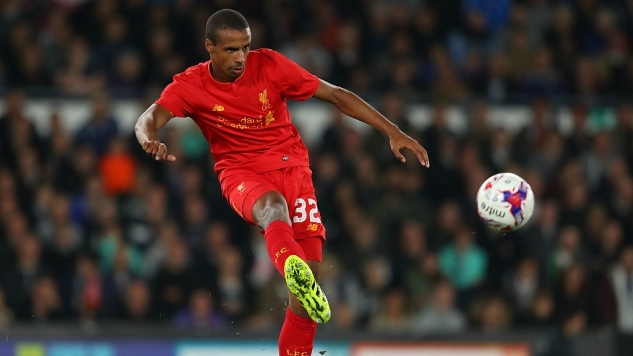 Matip, with the club’s and Jürgen Klopp’s backing, held firm and said he was done with the Cameroon national team. This mean, among other things, Liverpool felt comfortable keeping Matip available for team selection for league and cup fixtures— some good news, given that other key squad members such as Sadio Mané would be out of consideration until after AFCON. But Cameroon refused to take No for an answer, and named Matip to their AFCON squad. Matip and Liverpool decided to call Cameroon’s bluff by not reporting to camp, insisting that the centerback’s international career was over. That’s when FIFA intervened. Per Article 5 of FIFA’s player eligibility statutes, clubs are obligated to release their players for FIFA-sanctioned international fixtures. As far as FIFA were concerned, Matip had to report for AFCON duty and Liverpool had to let him go. With FIFA slow to respond to the club’s requests for clarification and appearing to operate entirely on Cameroon’s side of the dispute, Liverpool were left unclear over whether they were allowed to name Matip in the teamsheet for their huge match against Manchester United. In what was probably their only sensible move at the time, Matip was dropped from the teamsheet right before kickoff. So far, FIFA have not been forthcoming on what, if any, rights Matip and Liverpool have in this situation, saying only that their regulations on international eligibility and obligations are clear. (They’re not.) Cameroon appears unwilling to withdraw their request and FIFA aren’t being forthcoming with any clarification or attempts at resolution, other than to threaten Liverpool with sanctions if they attempt to let him suit up. FIFA have pledged to look into the dispute, but Matip could be out for as long as a month before a decision is made; by which time, AFCON will be long over and Liverpool will already have their busiest few weeks of the season in the rearview mirror. Absent any definitive word from FIFA or flexibility from Cameroon, there are rumblings afoot today that Liverpool may try to force the issue by naming Matip to the team that takes on Plymouth Argyle in their FA Cup Third Round replay on Wednesday. While this may well pressure FIFA to, you know, do something for once, the blatant challenge to their authority would almost certainly result in an unfavorable ruling. It appears that Liverpool are willing to take the risk. It’s hard to say how this is going to shake out and how long it’ll take to resolve. This could all be sorted out in the next few days. It could also drag on for a month or more. It’s enough to make you consider whether organized association football was a mistake.